Ben Nolan is well known for his personal service, punctuality, tidiness and his wide electrical experience. You can rest assured that all work undertaken will be to the highest standard and will be fully Guaranteed. 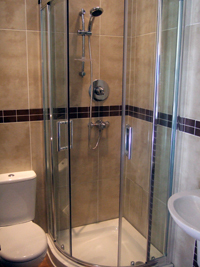 We provide free no obligation quotations on all work and will have an itemised written quotation to you without delay. I offer such a diverse range of services, from a call out to a small fault to designing and installing large installations from conception right through to completion and after. If there is anything not listed here, don't hesitate to give me a call as i may be able to help. Everything we do at Ben Nolan Electrical Services is guaranteed and this helps us in delivering an excellent and reliable service. We strive to meet exceptional standards of workmanship and professionalism each and every time any work is started providing so that your expectations are met and exceeded. We are committed to our customers and we are dedicated to delivering consistently high quality Electrical Installations in Blackpool, all at competitive prices, whatever the size or nature of the project. For more information on any aspect of our electrical installations please give us a call.